As usual: Your thoughts and oppinions also matter - so don't hesitate to comment here or on YouTube. 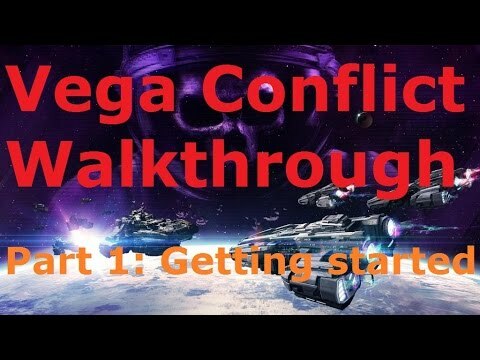 Numerous Auto-Fleet Tutorials, Event-Strategies, Detailed Tests and PVP-Stuff on my YouTube-Gaming Channel. Manni! 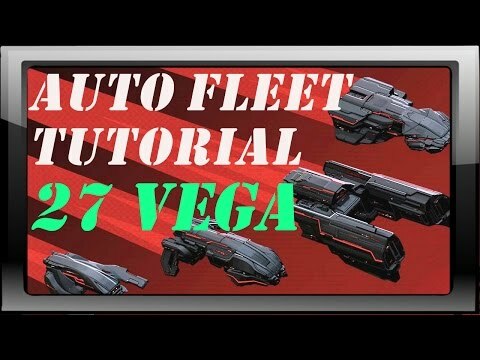 Amazing vids bro, I've got myself up to the lvl 27 auto-fleets now. I just got my Gauss BP as well, can you post more forum posts regarding the next goal like you did above ? Sure. The next goal would be to build my level 35 Auto FLeet and then the level 40 auto fleet (climbing all the tier levels). YOu'll probably have to research quite a bit to get to it but it'll be worth it. So I just hit 28 and I'm getting close to that lvl 30 mark. The guys in my alliance say watch out since that's when higher level players really start going at your base. could you make a video on base layout optimization and various tactics to deal with? keep up the awesome work. Those are the useful things to have. It'll take me a bit before I can get that video done. very cool I'll get to working on those. Also OMG you where not lying when you said gladius cannons are amazing. got 3 fleets full of rancor BS and they just wipe everything out. I would like to take a moment to thank Manni-Gaming for all the work he put into these guides and the information he has provided. It has made the game much more enjoyable and provided a crash course if how the ships work that I would not have gotten as easily by trying to figure this out on my own. Thank you! I have been playing since Tuesday of last week. Using as close to Manni's spec as I can (also since I don't yet have the Shock III or Rear III) to attack level 20-25 I can reliably win and repair quickly if not instant. For most level 20 fights I get instant, 23s take up to 2 minutes to repair if you tear down the fleet to individual ships and let them repair for 15-23 seconds(approx 23 seconds for ship slot 1, 22 for ship slot 3-4 and 15 for ship slot 6). 25s are a luck of the draw if I win or lose for AI but an easy win if I control the fleet and WORTH IT as mentioned in the video because they have an obviously higher blueprint drop rate. In the three days since I rebuilt my fleets to these specs I've got all the Hydra blueprints and completed the Cap Plate I and all of the different shields. The fleets I built on my own I had much less confidence in and spent a lot more time micromanaging them. These fleets, I can drop all 4 that I've made in front of a Processing Complex, send 3 off to AI 20-23 targets while I handle any level 25s that pop up. Then I lather, reuse, repeat. All that said, i am curious if the uncommon Blast Shield is an upgrade of the Shock III. Its a noticeable improvement over the Shock IIs so I'm going to equip it to some fleets to test it but was wondering if there was already input on the subject. Should I keep the Blast Shields or move up to the Shock IIIs once I have them? Thanks again! Thank your very much! I really feel like doing something important here because of you people! The Blast Shield has lesser shield capacity but offers a recharging ability. All Recharge Shields refill their entire shield-pool within 10 seconds. But they only start doing that after they have not received a hit for 4-5 seconds or so. 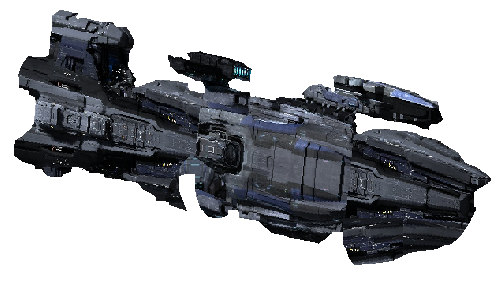 They are not good for using them on auto-fleets because of their reduced amount of shield capacity and the fact that auto-fleet-ships get hit repeatedly and cannot recharge. I can't believe its only been 2 days since I first posted my thanks to Manni-Gaming here but I've already started devouring level 27s and wanted to let others know how quickly you can progress with these fleets! I want to advise that I tested with the Blast Shield and found that IT DOES work for the 20-27 fleets. In fact, I'm still using it for slot 3 and slot 4 Rancor BS. Mostly so I could just have 3 fleets fast but if you make the Harrier Frigate and Slot 2 Rancor BS exactly like Manni describes, you can "cheat" a little bit on the shields of the other two ships. But DO NOT skimp on your Rear Thruster IIIs! 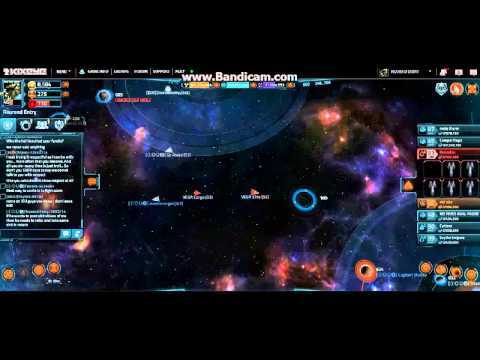 The AI will get sluggish and one of your ships will take a pounding if you do! It will still work/win but any of the level 27s with blueprints seem to always pack more punch and you spend more time repairing and will be hard to get an instant repair then. Lesson Learned! If you're like me and didn't have Shock Shields or Rear Thrusters to good levels when you found this, you'll probably end up with the Blast Shields before the Shock III. If you use them, it lets you build up multiple fleets just a little bit faster and get to farming all that much sooner! 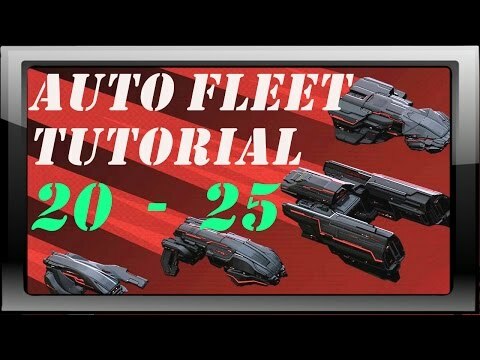 It's not always instant repair using them but if you've been struggling, the core of the 20-25 and the 27 fleets in these tutorials can still be applied to effect. But if you want INSTANT repair, go with the specs Manni gives you. Manni, these tutorials really helped me and are still helping me. I want those Destiny Cruisers so bad. HINT: Looking for free cargo while you're 35+ and vulnerable? Hide in a star, yes, fly onto a star. Me and my alliance friends do this a LOT, due to recent sector wars ramping up. Hello again! I have been tinkering with auto fleets while getting the upgrades for Mannis lvl 35 auto instant repair fleet and wanted to share my feedback. Getting the Shock IV and Spectra V shields to the appropriate levels is taking a while as I upgrade my base and research, but I have found a way to auto fleet with a level 30 modification on Manni's build that will reliably beat lvl 35 VEGA cargo fleets. I've been tinkering with it a lot and got the repair time down to 3 minutes (2x1:42 repairs for the Cruisers and 1 insta for the Rancor's). This is NOT an Instant repair fleet but those who want an easy farm while they are gearing up for the fleet Manni describes may want to check it out! The fleet weight is 9884 so you don't need lvl VIII Fleet Bays, but I would suggest upgrading that asap so you can get your full load of Rancor's. That's what I am going to do. PS: I am using the BOX formation. that's really good. Thanks for taking the time and bringing this to us. So... this is basically a half-way-method of my 35 auto fleet that gets a bit of repair due to the "not yet available technology" but it stil gets the job done well... until you have what you need for the full fleet. Nice one. I keep that in mind to either show it at some point or direct people to it when they ask. I just don't see anything on this thread stating the lowest possible build of fleets to farm VSec 27. I need to get the AP Driver I and the rest of the Tier 1 tech for VSec, but I haven't found any real reliable way to auto them without highish repair time. I'd appreciate feedback. Thanks in advance! While grinding level 25 Vega Fleets, I changed out the first Genesis Cruiser for a Genesis Cruiser Mk.2 and the Harrier Frigate for a Talon Frigate. Same load out, and I've come out with Ship 1 and 4 destroyed and the rest only slightly damaged. Instant repair times takes about a minute total. Also very nice. I heared that the 25 does not ALWAYS work with free instant anymore. Something must have changed, obviously. But 20 and 23 stil work perfectly and they drop the same BPs. So if you have any problems, just take them. After about two to three days I completed all tier 1 blue prints. Started on 27 Vega fleets, using the same setup and have been doing quite well. Repair times are about the same, though I wouldn't recommend going after level 30 fleets as they destroyed me fairly fast. Working on the next fleet build to handle them. Thanks for your feedback. Only the level 40 fleet will be a little bit tricky. All other ones should work really good. In that case I would just go and get 20 and 23s. They drop the same stuff and are stil perfectly within free-instant repair. First of all, thank you! Always love the videos. I need to play smarter on events, been banging my head and coining unnecessarily . I am going to start building a fleet of destinies and hopefully get a top prize soon. Thanks again! Does the 40 aut fleet still work?